I come from a background in fashion design before I moved into graphic design and marketing in 2014. As a clothing designer for David Lawrence, the variety of experiences I picked up have allowed me to produce unique and high-quality work in my subsequent roles. I have redesigned the Make it Raw brand from start to finish. I started with conceptual ideas and followed that through to where the brand is today. This involved a logo, brand pattern and language development, 12 redesigned packaging boxes, collateral (business cards, post cards, a stamp, invoices etc) and finally a new website. 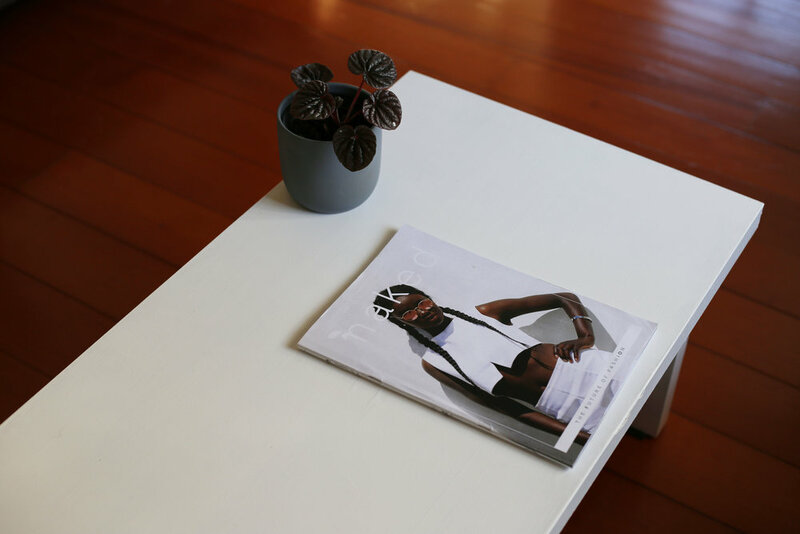 The Naked Mag gives you an insight into what happens behind the scenes of the fashion industry, the impact fashion has on the environment, the unethical treatment of workers. the murky supply lines between designers and production, but also highlights the great work of sustainable fashion designers and honest people doing the right thing in the industry. Looking to the history of the company to build the future. I wanted to build on the strong roots of the company to foster a culture of personal, face to face communication by creating an inviting, fun newsletter that would appeal to the wide range of employees at the Bertrand Lawyers firm. The slow reveal of information through scientific discovery. For the campaign branding for the BFI Space Race I wanted to develop a brochure fold that not only reflected my concept but also gave the viewer unexpected surprises along the way, just as scientific discovery is never predictable.